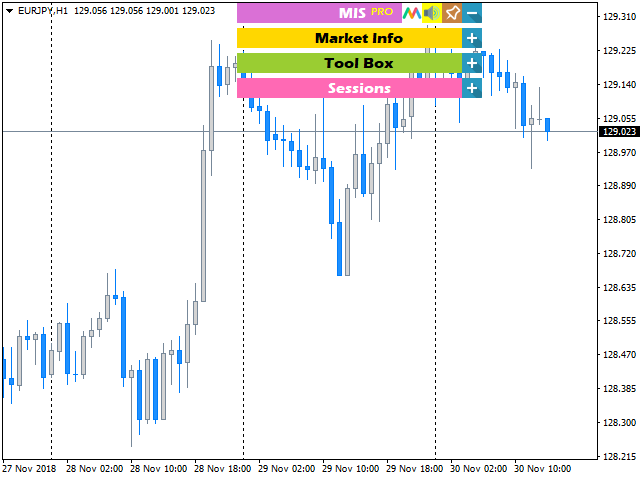 MIS (Market Info & Sessions) indicator is an effective tool designed for professional traders in financial markets. 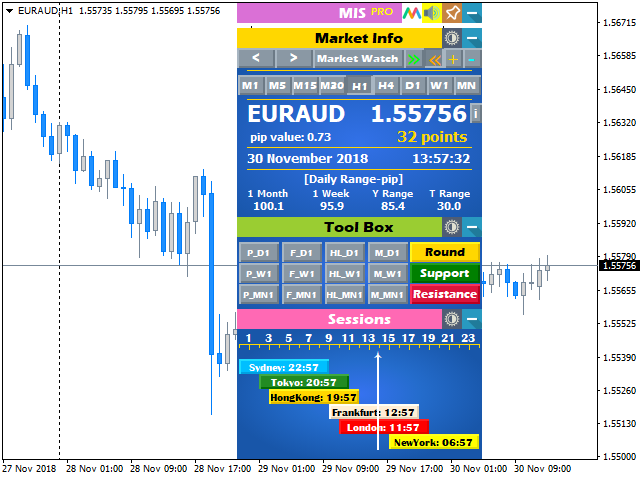 Getting essential information about the market every second and managing a big list of symbols in the market watch to monitor different markets, calculating important price levels of each security or currency pair and finding the session times are not an easy task all at the same time for an individual trader. 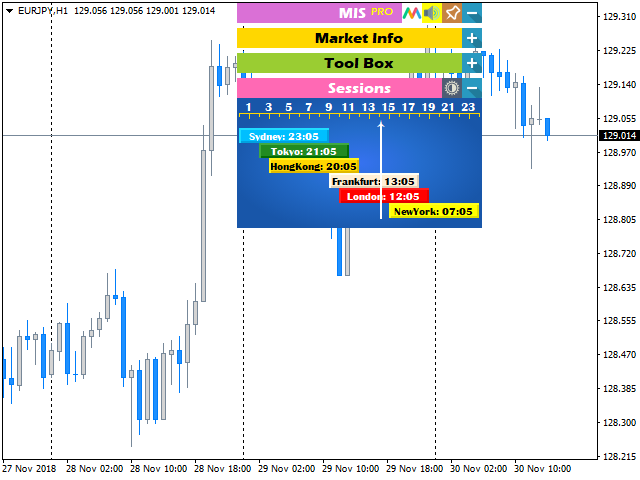 So here comes the MIS which gives the trader all of these abilities & information in a fraction of a second with a very user friendly interface in MetaTrader environment. 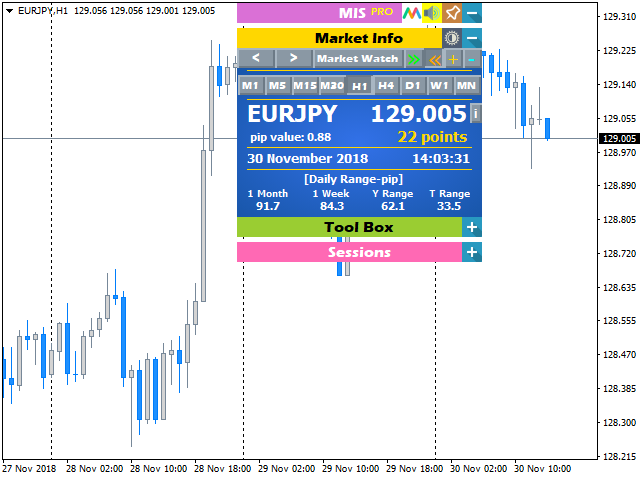 Also this indicator shows session times of Sydney, Tokyo, London & New York based on your broker's server time or your local time, wherever you might be living in the world. It automatically & precisely calculates time zones and daylight saving time (DST) for the sessions and your chosen time. It's time calculation algorithm works till 1 January 2100 in this version. Many thanks for a great tool! This has allowed me to gain really valuable platform space. So well designed that I now only have one chart open and navigate through 'Market Watch' with this indicator. Excellent. 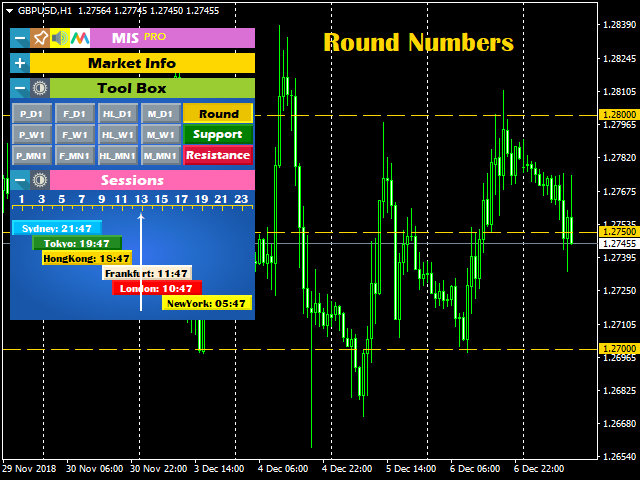 Thank you for this great indicator. The second version had made a good indicator great. The info so easily accessible in this indicator is priceless. Thanks. 1. Possibility to choose initial corner to draw panel. 2. Button clicking sound On/Off. 3. Change the chart to previous/next symbol in the Market watch window. 4. 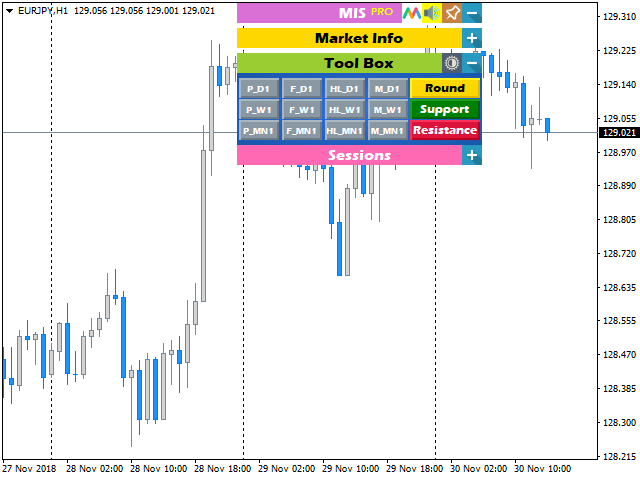 Added Market Watch panel, change chart directly using Market Watch. 5. Autoshift, Autoscroll buttons added. 6. Zoom IN/OUT buttons added. 9. Swap Long, Swap Short & 3 day swap rollover info added. 10. It is now possible to calculate pip value & swap rate based on the Lot size chosen by the user. 12. Hong Kong and Frankfurt sessions added. 13. Time left to begin and time left to end in sessions are shown. 14. 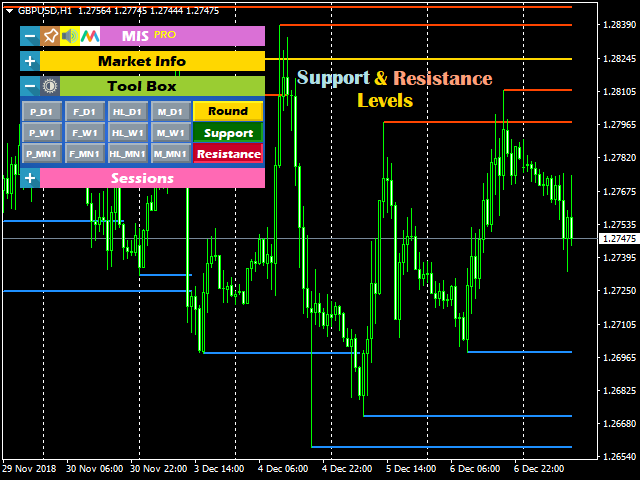 Sessions can be drawn on chart & show name/high/low/range of the session.